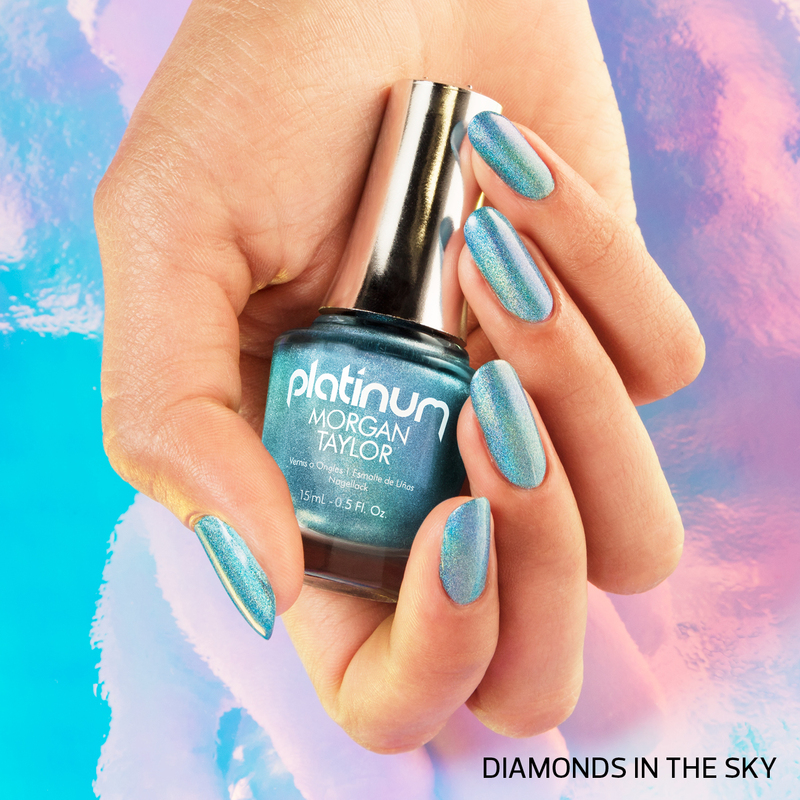 It’s every girl’s favourite shade and thanks to Morgan Taylor’s new Platinum range, our manicure just got an upgrade. Morgan Taylor, known for shaping nail trends has introduced Platinum, a new line that is as luxurious as its name sounds. Platinum embraces pure excess with rich textures, effects and additives that give extended wear. Upon first glance you’ll notice Platinum’s unique chrome logo and ultra-luxe cap. But it doesn’t only look great… Platinum only contains the highest quality, rich pigments and textures for an over the top lacquer formula and experience. These high quality formulas provide the long-wearing quality that you have come to expect from Morgan Taylor. The first ever platinum collection features six opulent holographic shades; from a sparkling silver and luxe lilac to a magnificent mint green and plush pink. This range includes every colour you need to dazzle from fingertips to toes! The lavish hues simply brush on for a holographic effect and last up to ten days with Morgan Taylor’s long wearing formula. Nothing gives you that glow quite like holographic nails! Platinum by Morgan Taylor was available from May 1st.